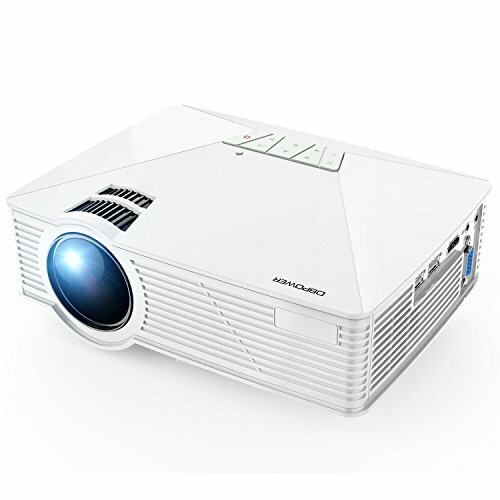 DBPOWER GP15 projector is +50% lumens, which supports resolution of 1080P,720P. It's a very good choice for home entertainment projector. 4. It doesn't support dolby, please turn off dolby when using it. MULTIMEDIA PORTABLE PROJECTOR: DBPOWER projector is compatible with TV Box, Amazon Fire TV Stick(not included)), ChromeBook, PCs, Laptops, Tablets, Blue-ray DVD player, SD Card, USB Flash Drive, Media players (Music, Pictures, Video, TXT), iPad, iPhone, Android Smartphones ( an external wifi dongle is needed to connect with phone).